Happy Earth Day everyone. I’m gonna tell you all a quick story. When I was in high school, I wanted to get a job in a bakery. I found a job at a big supermarket called Loblaws that had just opened up at the mall near my house. This would be my first time working in the food industry. Since I was a full-time high school student, I could only work late nights. I worked until closing every night–9pm. My first night closing, I was trained by another employee. She taught me how to clean things up and stack things away until finally we reached all the food in the case. “Here,” she said, handing me three large garbage bags, “Throw away all the cakes and cupcakes that are past expiry and all of the freshly baked goods.” My job every night was to take all this perfectly good food and toss it. Perhaps I was naive or perhaps I didn’t want to admit it in the past, but I was shaken that this is what happened every single night. It absolutely destroyed me, and I so desperately wanted to take the whole bag of fresh croissants and hand them out to homeless people all over downtown Vancouver. Every night when I left work I felt sick, and I would brainstorm all the things I could do to reduce the amount of food waste that supermarkets produced. I asked my boss if I could take the bags home, and she said no. She told me I wasn’t even technically allowed to take one or two things home for myself, but that she would look past that. I lasted at that job for 2 weeks before I couldn’t take it anymore and left. This experience sparked something in me. I vowed to myself that when I owned my own food business that I would do whatever I could to reduce food waste. I vowed that when I owned my own home and when I had complete control over my life that I would do what I could to reduce my carbon footprint and reduce my negative impact on the environment. Now, I work at Butter Lane–a small cupcake shop in the East Village. Every night, we also toss all our cupcakes because our cupcakes are baked fresh every morning. Every night it still hurts to see all that perfectly good food in a garbage bag. The difference is that now I can do something about it. I know this post has already been long and winding, but I’m getting to the point I swear. This Earth Day, I want to share some of the things that I do in my daily life as an employee in the food industry, as a pastry chef and cake decorator, and as a homeowner, that help reduce food waste and also make my life more sustainable. Every day I am aware of the waste I produce and I am constantly trying to change. Every difference is a big difference if we all do it, so I hope you continue reading and try to employ some of these things in your own lives. At the end of the night, instead of throwing all the cupcakes away, I pack a few boxes up and hand them out to people I know on the way home. Neighbours, friends, the people who work at your favourite restaurant–you’re reducing food waste and people will like you more! Win-win! Adding onto the above tip, hand out food to homeless people. They will always be grateful and you’re helping someone who really needs it. Instead of tossing all the leftover food into the garbage, take them to a composting bin. In NYC, there are public compost bins scattered all around the city usually located in front of community gardens. Find the one near your workplace and dump the food there. If you can’t stop food waste at least it’s not ending up in some landfill when it could be returned to the earth. REMEMBER no plastic bags in the bin! Just empty the bags out into the compost bin! If you're in NYC, here's a link to show where compost drop offs are located. If you’re going to be taking food home from work, bring a tupperware! When it’s getting close to closing time, I start offering people a free cupcake here and there. Some employees make it Buy One Get One Free. These customers already want the food so might as well give them some more! Check your calendar. Is it someone’s birthday soon? Or is there a party coming up? Somewhere that you can bring food to? If yes, save the leftovers and bring them! College kids will eat any free food you offer. I’ve left cupcakes with the security guards at my boyfriend’s college and they were so grateful! Let all your friends know the days you close. Let them know that if they ever need food on these days that they should definitely reach out to you. My workplace doesn’t recycle, so when I can, I take all the recyclable things I find home to recycle them. Compile all the garbage from all the garbage bins in your workplace so you can take out just one garbage bag. This reduces the amount of basically empty garbage bags being wasted. This one is pretty specific to a niche, but whenever there are leftover naked cupcakes in the back, sometimes I'll take them home to practice new decorating techniques or to do a project I've wanted to do for a while. For example: I took cupcakes home to make a "flower bouquet" out of cupcakes. It was something I wanted to do for a while, so this way, I didn't have to bake my own cupcakes (saves me time and energy hehe) and I was able to prevent the leftovers from being tossed. Making hand piped sugar cookies requires a lot of different icing colours. Instead of constantly filling new piping bags, I take the bags with the lightest colour icings, squeeze them out, and recolour them to a darker colour I need. Then I use the bag again. Is it a pain sometimes? Yes, but I know that I’m reducing the amount of plastic being thrown away. This works with anything that needs piping bags! Just make sure you’re going from lightest to darkest colours or weakest to strongest flavours. Alternatively, use reusable piping bags! Invest in silpats! Yes they can be pricey but they are soooo much easier to use than parchment paper and you only need to buy them once. They last a lifetime (if you treat them well) and you’ll cut down on your parchment paper use (which saves you money too!) Find tons on Amazon here. Compost! All those egg shells, failed recipes, banana peels–COMPOST! And pro tip, old fondant buckets are great compost buckets. I always have my water bottle. It is both costly and highly wasteful to use plastic water bottles every day. Mine is from Fressko and I love it! Bring tupperwares with you! If I know I’m going to be taking food home, I bring a light, plastic tupperware with me. To my fellow bubble tea lovers, invest in metal bubble tea straws. Keep one at home and put one in the bag you bring with you. Amazon sells 5 for $12, so split it with a friend! Here's the link. Bring chopsticks with you too! Anything can be eaten with chopsticks so you can opt out on plastic utensils. Or just bring a cutlery set with you everywhere. When ordering takeout or getting delivery to your house, tell them you don’t need utensils. You’re at home and you should have utensils so you don’t need plastic cutlery. When ordering delivery, you can write this in the “special instructions” section. Recycle correctly. That means sorting correctly. Sometimes I’ll go down to my building’s recycling bins and sort them out. Takeout containers are the BEST tupperwares! Why even buy tupperwares when people give it out for free?! When I order from Amazon, I try to wait until I have lots in my cart. This heightens the chance that they’ll package things together and it’ll use less packaging than if you ordered everything at different times. Sell your old technology if you can. Tech has so many harmful chemicals that leach into the soil and water when they’re tossed in a landfill. Also, some extra money is always great. If you can’t sell something, donate it to Goodwill! Throwing something away should be the last case scenario. If you have old or damaged fabrics, lots of brands have started textile recycling. For example, H&M takes any textiles and gives you a coupon for 15% off if you donate, and Madewell takes all denim! Don’t be afraid to speak up and say you don’t need a bag. Or that you don’t need a lid, or a straw, or utensils. As someone who works in customer service I can promise you that it is not inconvenient or rude to do so. Freeze things! Things will last months past their expiration date if they’re frozen. For example: bread, almond flour, veggies, meats, fruits–all these things can be frozen and will last exponentially longer than they would’ve in the fridge. Opt for paperless bills. It should be an easy switch through your account. Connecting To My Culture Through... Hot Dog Buns? I am Chinese. I was not born in China. I have never lived in Asia. I was born in Honolulu and moved to Vancouver when I was 11. My first language was English. My family speaks a small Chinese dialect called Hokkien, and unlike Cantonese and Mandarin, it is spoken in very few places of the world. As the result of my pretty westernized life, sometimes I find it hard to feel Chinese. This doesn’t mean I wasn’t still raised with some very Asian ideals and values–yes I save all my plastic bags and take off my shoes at the front door–but to other Chinese people, I wasn’t very Chinese at all. My mom would always say, “Pick out one or two things you want for breakfast tomorrow,” and I would always get the same thing: hot dog buns. If you are a little Asian kid, I can almost guarantee that you’ve had a Chinese hot dog bun before. They’re an Asian bakery staple. If a bakery doesn’t have hot dog buns, leave because they can’t be good. Even here in NYC, I still occasionally pick up a hot dog bun from the Japanese bakery down the street. They have been and still are a huge part of my life. As I grew up eating these buns, I was always amazed at the dough encasing these hot dogs. Asian bakery bread is nothing like western bread. It is so soft and smooth–even moist. The texture of Asian bakery bread is something I have never experienced in western baked goods ever, and therefore, I didn’t learn how they were made in school. Most culinary schools have a European curriculum, so this would never be something they taught. So I went through culinary school learning all about how to make various European breads, but my question of how to make that soft, silky Asian bread was never answered. So I continued to buy hot dog buns until one day… I realized… what the hell was stopping me from learning how to make it myself? For some reason, I had never thought to just Google it. I don’t know–I think a part of me thought that it’d require rare Asian ingredients that I couldn’t acquire, or that it’d need some sort of antique Asian tools and equipment. Spoiler alert, it’s really freaking easy. So yesterday, I looked up a recipe. I stumbled across one from the food blog, The Woks of Life, and it looked promising. The Woks of Life is a blog run by an Asian family that finds authentic Asian recipes, test them, and then post them. Definitely go check them out, they’re awesome.​ The exact recipe I used is here. I gathered my ingredients and got to work. The dough is so simple: put everything in a bowl and then knead for 15-20 minutes. It is a very unique dough in its ingredients, and I think it has everything to do with why the texture is so smooth and soft. Like a basic bread dough, it has yeast, flour, a liquid, and salt. What makes it different is that instead of just bread flour, it also has a small amount of cake flour. And for the liquid it calls for milk, but also heavy cream. When it was done kneading, I left the dough for an hour to proof. Meanwhile, I quickly pan fried the sausages and let them cool. The dough was incredibly soft and fluffy. I portioned it into 10 balls, and rolled them into long logs. These logs were then wrapped around each individual hot dog, and the buns were covered and proofed again. ​Finally, they were egg washed and baked. I was so excited to see how they turned out. They looked amazing wrapped up in the puffy dough already, but I really hoped they were going to bake beautifully. ​When they came out of the oven, I brushed them with a light coat of simple syrup, which–(I didn’t know this! )–gives the breads in Chinese bakeries their signature shine. Well, they were delicious! But were they the best they could be? Not quite. So in The Woks of Life, they recommend pan frying the sausages lightly before baking to give them a better texture and flavour. 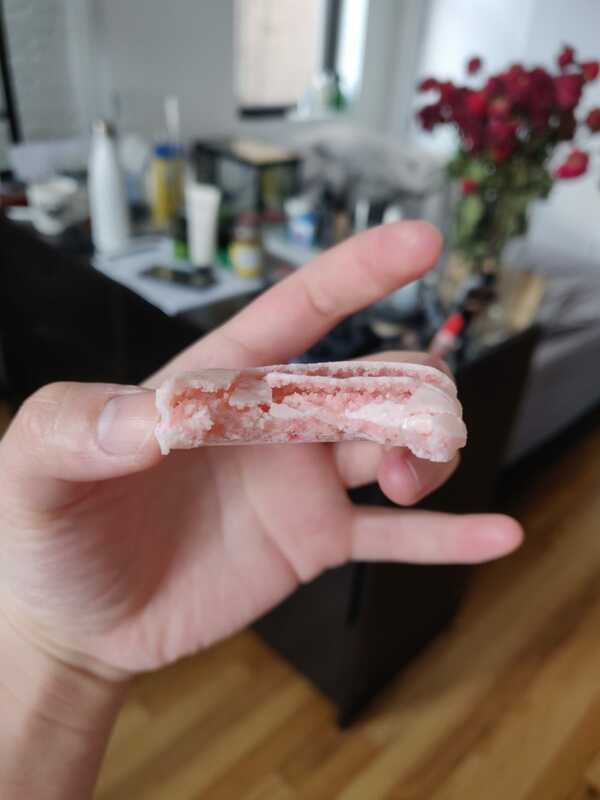 In most Chinese bakeries, the sausages are just baked raw, and it results in a rubbery texture. These buns with the pan fried hot dogs were infinitely better than the buns where the hot dog is just baked in. That is something I highly recommend doing as well. 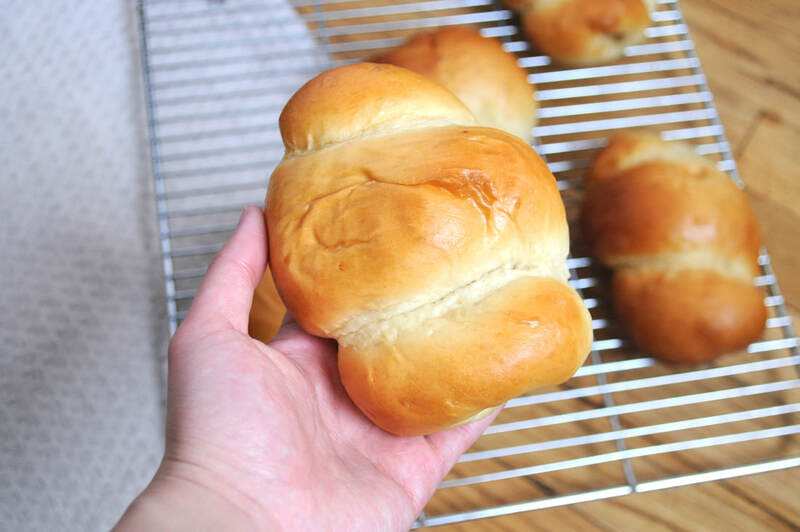 So I think the next time I attempt these hot dog buns I will use the tangzhong method. 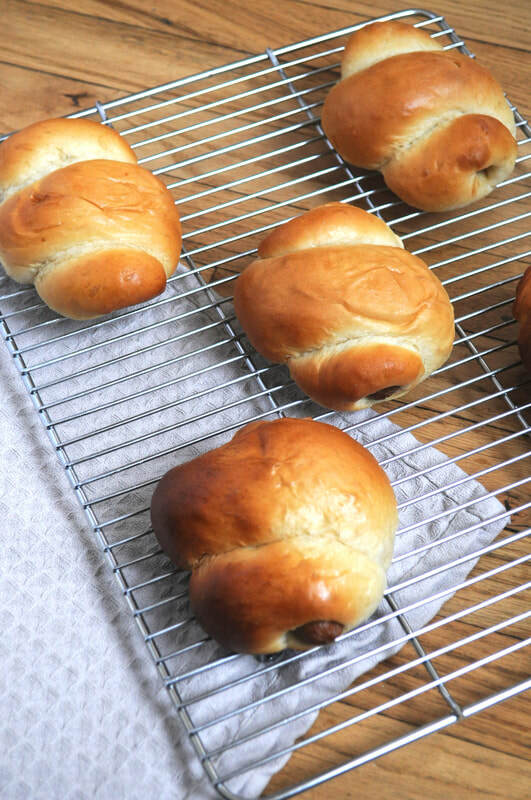 Regardless, I am very happy with the result of these hot dog buns. Maybe it’s stupid, but I feel more connected to my culture after having made them. 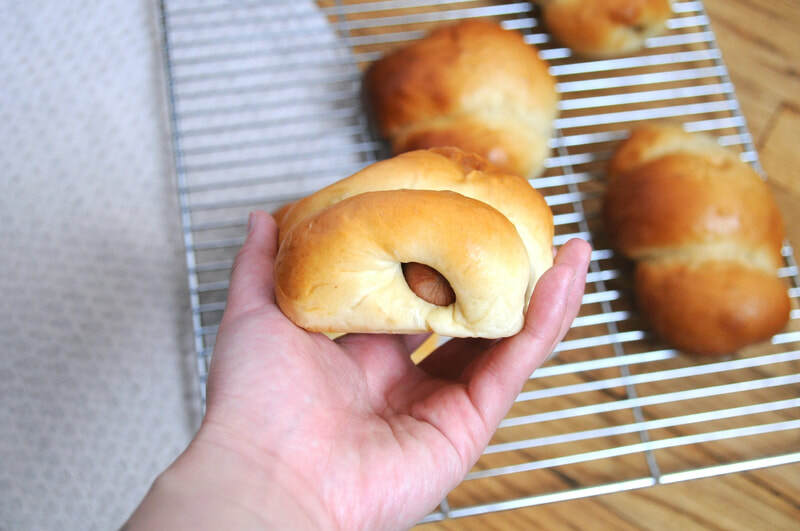 It’s one of the only Asian things I can make from scratch, and after I perfect them, I hope that one day my great grandchildren will buy a hot dog bun from a bakery and angrily say to themselves, “My grandma makes better hot dog buns. Can't believe I wasted $1.50 on this." That's Asian grandma goals right there. French macarons. I have always considered the ability to make these little French cookies the mark of a good pastry chef. 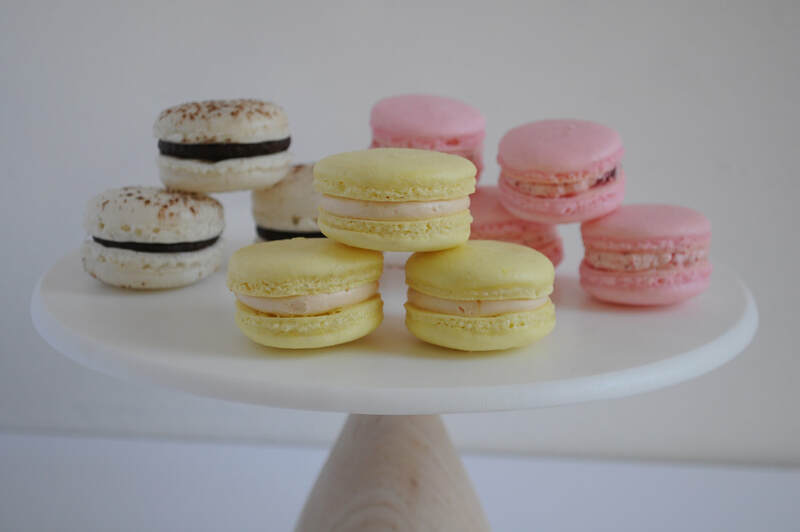 The French macaron is a notoriously difficult cookie. Entire books have been dedicated to perfecting the art of the macaron. It has a reputation of being incredibly fickle and temperamental despite the fact that the base cookie really only consists of four freaking ingredients. I never entertained the idea of a macaron for years after that. I read books and watched videos, but every single tutorial and recipe made it sound like you just had to know in your heart and soul how to do them right. It was cowardly, but I admit that I just shied away from the damned cookies, forever waiting for the day that I would build up the courage to attempt them again. ​When I was at ICE, my chef for Module 3 was Chef Kathryn Gordon. She is a brilliant pastry chef, and if you know her, you probably know her as the author of the book Les Petits Macarons. Obviously, I desperately wanted her to teach me her secrets. Finally came the day that we’d be making macarons. I asked her tons of questions and listened intently, waiting for her to tell me that special tip that would make me the best macaron maker ever! That was my problem… I really thought that there was a solution to my issues. I thought it was a simple fix: “do this and they’ll be perfect every time!” There isn't. I watched her fold the batter in the macaronage stage and was disappointed to see that yet again–based on the texture, the fluidity, the “way the batter moved,”–she just knew when it was ready. 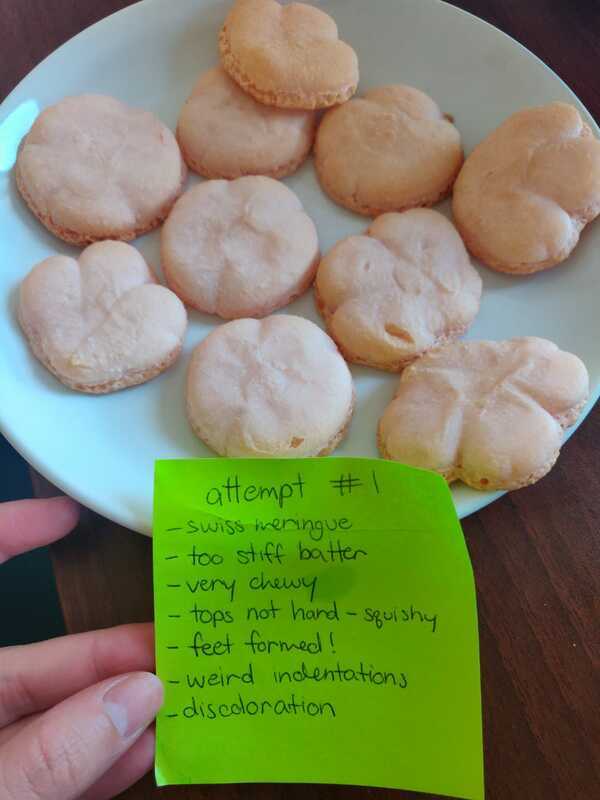 ​I went through culinary school, graduated culinary school, and entered my externship, still never having made a successful macaron on my own. I felt kind of like a fraud. How could I ever call myself a professional if I couldn’t even make this STUPID COOKIE? 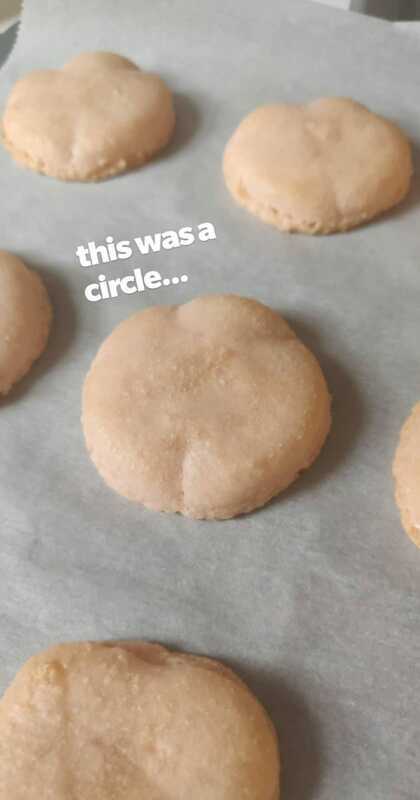 So here I am, trying again years after my first ever macaron attempt. 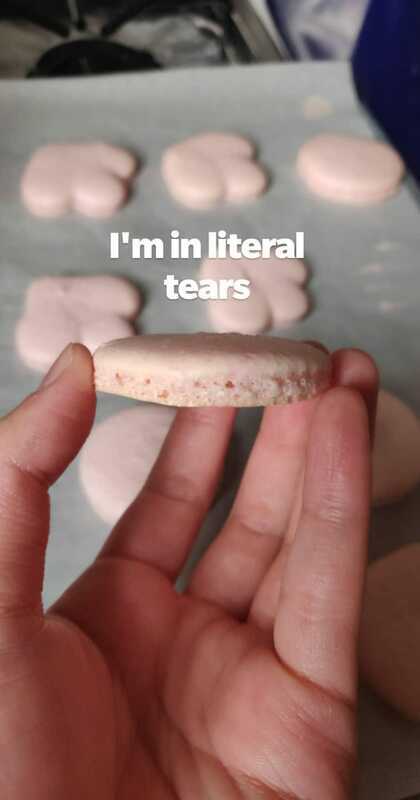 I spent the whole day before reading Les Petits Macarons, watching YouTube videos, and asking people questions online. I swear that I have read or heard every single “tip and trick” that there is to know about macaron making now. It took two attempts for me to make a batch of successful macarons. There are three main methods to making French macarons: French, Swiss, and Italian. Each method is ultimately the same except for the type of meringue that’s used. For my first attempt, I used a Swiss meringue because it’s the meringue I use for my buttercream, and I’m confident making it. My first attempt started out looking alright until I got to the macaronage stage. 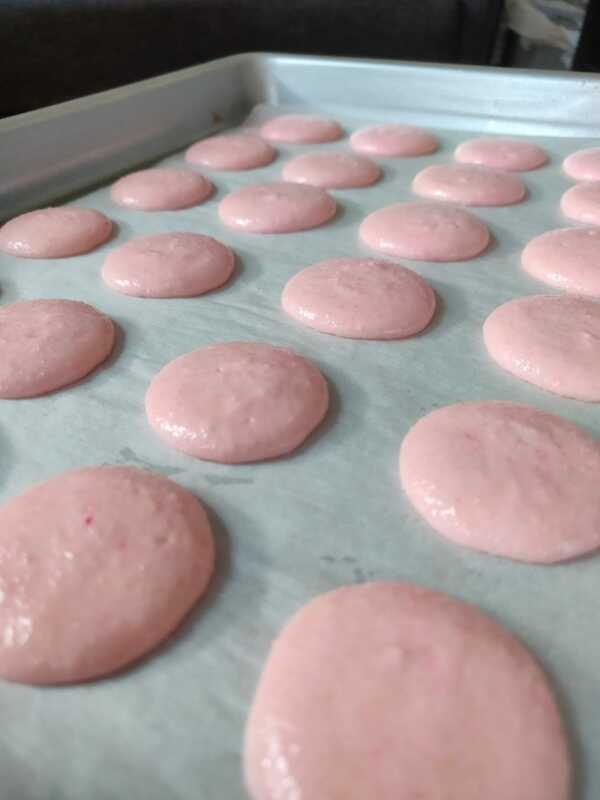 In Les Petits Macarons, Chef Kathryn states that the Swiss method results in a slightly firmer batter due to the cooking of the egg whites making their protein structure stronger. While folding my batter, however, I noticed that it was too stiff. It literally felt like a dough and not a batter. I knew something was wrong, but figured I’d bake it off anyway to see what would happen. ​In all honesty, they came out better than I expected them to. They had feet! That was a big deal to me because my macarons had never had feet before. And the tops weren’t cracked, but they were discoloured and misshapen. They also didn’t have a smooth, hard crust–they were squishy. 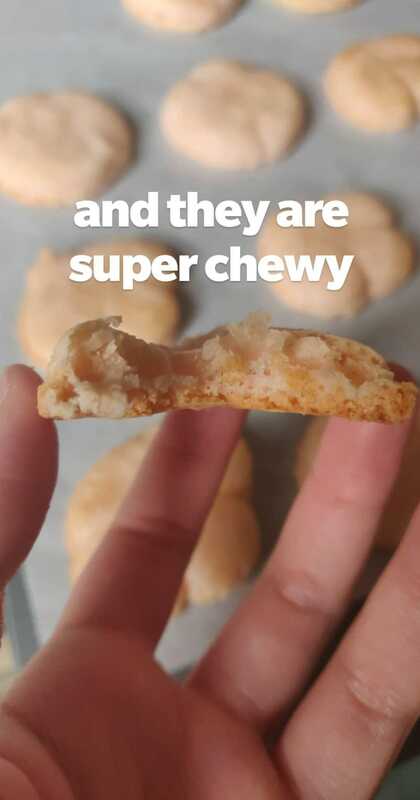 And when I bit into one, it was super chewy. ​So… ultimately a fail. But it was honestly the closest I had ever gotten to success, so I was motivated. For my second attempt, I decided to try French meringue. People seemed to have success with it and it didn’t involve cooking, so that was nice. The tip that helped me the most was actually the “Figure 8 Test”. It is impossible to articulate how to identify the stage in which the batter is ready for piping. People say things like “slack,” “fluid,” “glossy,” but when you’re in the moment it looks like lumpy batter…and the lumpy batter 20 folds earlier looked the same as this lumpy batter. Thus, the Figure 8 Test. If you can hold your spatula 2-3 inches above the bowl and draw a figure 8 without the batter ribbon breaking, the batter is ready. I piped and baked off this new batch, terrified. I forced myself to leave the kitchen while they baked to avoid the agony of waiting, and when I came back, THEY WERE GODDAMN PERFECT. ​They weren’t the smoothest, but they had beautiful feet, a hard shell, and peeled right off the parchment. When I bit into one, it was crisp at first, and then chewy underneath. As they should be. I was so happy. I am still leaps and bounds away from being a macaron master, but I am proud to say that I am no longer terrified of the French macaron. I feel ashamed that I avoided them for so long, but I truly feel like now, I can conquer any dessert I set my mind on. That feels good. And I’ve actually become somewhat obsessed with them… They are so beautiful, and such a great vehicle for flavour. I am excited to experiment and try new flavours in this brand new medium. ​No longer will I fear the beast that is a French macaron! My last day of high school was only a little over a year ago, and yet here I am today celebrating another last day. Today was my last day of classes at the Institute of Culinary Education. During this program, I have had the opportunity to learn from true masters in this industry like Chef Simon Cass, Chef Penny Stankiewicz, Chef Jeffrey Yoskowitz, and Chef Kathryn Gordon. I have met incredibly talented individuals in both pastry and culinary who I hope to collaborate with one day in the future, and I have proven to myself that while this industry is tough and unforgiving, I still love every minute of it. My final project assignment was a fully decorated three-tier wedding cake. This cake turned out to be one of the most creatively straining cakes I’ve ever constructed. The day before the first design draft was due, I sat hunched over my dining table sketching until 1am. Nothing I drew looked cohesive or interesting and I was desperate to challenge myself and create something dynamic and unique. The prompt was “autumn wedding” and I really wanted to capture the feeling of autumn without designing something that was tacky or childish. Chef Penny, my chef instructor for my final module and founder of Sugar Couture was the one who taught me my most important lesson. She said something to me that changed my entire outlook on cake designing and art in general: “Creativity is a muscle just like every other muscle in your body. In order for it to get stronger you have to exercise it. You can’t sit around waiting for ‘inspiration’–inspiration isn’t going to strike down upon you every time you’re designing a cake. You have to sit there and struggle through bad ideas until something usable comes around.” My view of art has always been that you were either blessed with a naturally creative mind or you weren’t. I have always resented the fact that ideas never came as easily to me as it seemed to come to my classmates and colleagues. When Chef Penny said that to me I realized that I wasn’t the only person working in a creative field that doesn’t feel creative all the time–and that was incredibly comforting. The night I had to design this final cake, I very much struggled through the creative process. I sat there for hours googling autumn flowers and leaves, swatching colours, sketching, erasing, and sketching again. It wasn’t until I stumbled across a random stock photo of crushed leaves that I thought to myself–Could I translate this texture to cake? Would it look cool? Soon after that eureka moment, I stumbled upon acorns laying in the grass at a park. I picked one up and immediately knew that I would somehow incorporate it into my design. I had forced myself to find my inspiration and it had resulted in a beautiful cake I was very proud of. Of all the things I learned from my months at culinary school, what Chef Penny told me may have been the most important to me. I wanted to pass this message along to anyone who reads this, and any artist who doesn’t always feel creative. I am sad that we are done, but I am also excited for what’s to come! I wish all of my classmates luck on their externships and future endeavors! I hope to see all of us succeed one day. And a special thank you to ICE for an awesome 100 classes.